Before I left Cressey Performance a long time client gave me a little going away present to try. 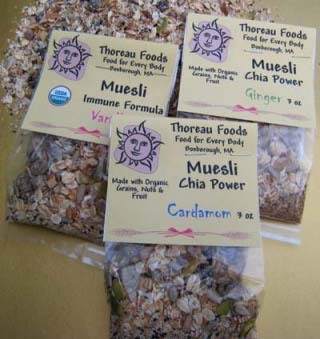 It was a chia and cardamon muesli from a company called Thoreau Foods, and it was awesome. Thank you Kathy. This muesli contained oat bran, oats, barley, flax, sunflower seeds, raisins, apricots, chia, cardamon and more and most ingredients were organic. I tried it a few different ways. I soaked it for about 10-15 minutes in some unsweetened vanilla almond milk and added some chopped fruit to it. That was fantastic. I also cooked it like a normal oatmeal and added some chopped fruit to it, of course that was also fantastic. This product, and others offer by Thoreau Foods, offer some nice variety over plain oatmeal, and are pretty much ready to eat immediately as they contain high quality carbs, fats and some fruit. They are located right in Boxborough, Mass for you New England readers. I encourage you to check them out and give some of their products a try, I know I will! Finally, it is here. I have been talking about blogging about the new “green” Hannaford I just moved in next too, and I am finally doing it. Below is a picture from my front door to the parking lot, that is how close I am to the store. I love walking to the grocery store a few times a week and just picking up the few things I need rather than making monster trips once per week. This Hannaford is quite impressive. It is the first Platinum-certified LEED supermarket in the world. The Platinum designation is the highest rating a company can receive from the U.S. Green Building Council’s Leadership in Energy and Environmental Design (LEED). This Hannaford is 44% more efficient than the standard grocery store as it has geothermal heating and cooling, solar photovoltaic panels, high efficiency refrigeration, energy efficient lighting, advanced recycling, and vegetation that grows on the roof to provide insulation and help control storm water. It is absolutely amazing the amount of environmentally friendly technology that went into this supermarket. This store is essentially a research laboratory for the company to see which programs and systems work best to reduce waste, greenhouse gas emissions, and water consumption as well as improve the indoor environment for customers and workers alike. The store boasts significantly greater air quality, doors on nearly all freezer and refrigerated cases which saves energy and provides a more comfortable temperature and more. The first time I shopped there I thought the lights in the refrigerators/freezers were broken as they were off. As you approach they flick on to provide light when you need it, and turn off as you walk away, saving energy. It is also home to a state-of-the-art GreenChill refrigeration system, which uses 50% less refrigerant gas than a traditional system. The best part about this store is the large produce and “natural foods” section they offer. I am able to get virtually everything I eat from one store, rather than splitting it up so much as I did before. I can get my raw cheese (for $1.40 less than Whole Foods in CT! ), half gallons of unsweetened almond milk, Ezekiel bread, english muffins and cereal, Maine’s Own Organic Milk which is from local grass-fed cows and is lightly pasteurized (not ultra-pasteurized), and more. It also doesn’t hurt that everything is about 5-15% cheaper than Connecticut! We also have a wonderful farmer’s market on Tuesdays just down the street from us where we can get raw organic milk, raw organic butter, eggs from chickens that actually eat like chickens, grass-fed pasture-raised meat and so much more. It is awesome. This morning I put some fresh blueberry honey butter from the farmer’s market on my Ezekiel toast, it was mind-blowing. Second best thing to peanut butter I have ever put on my toast. The move back to Maine has just opened up so many convenient and more affordable real whole food options, more than I had even anticipated. Maine gets a bad rap for being a rural state, but in my mind it is a good thing. The amount of high-quality food produced is astounding and readily available and it is too bad that so many people have such limited access to situations like this. Maybe some of you should move to Maine? A little food for thought I guess. I know my blogging has been quite spotty lately, but I promise it is not going anywhere! Also a quick reminder that Mike Robertson is holding the 2010 Midwest Performance Enhancement Seminar. It is an all-day affair and includes the likes of: Brian Grasso, Lee Taft, MR himself, Pat Rigsby, Bill Hartman, and Brett Jones. If you sign up before June 24th you get an incredible early bird special of only $149! Anytime after and the rate goes up to $199. So if you want to save $50 and see an amazing lineup sure to blow your mind, check out the 2010 Midwest Performance Enhancement Seminar. To all of you from Maine, check out these articles in the Portland Press Herald by Bill Nemitz. He is a reporter following the Maine National Guard’s Bravo Company, 3rd Battalion, 172nd Mountain Infantry in Afghanistan. The best man at my wedding, my lifelong best friend, is a Staff Sergeant serving in that hell hole, so if you want to follow their daily lives and missions check it out. In actual nutrition oriented news, I am currently taking an online class about Nutrition and Aging for my Master’s degree. I was reading over the textbook about the fat requirements for the elderly population and came across some information that bemused and angered me. 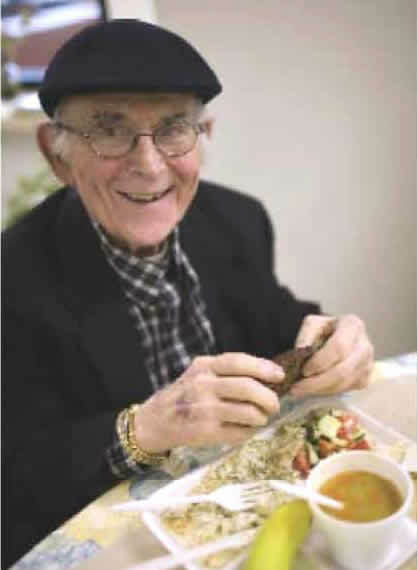 The book mentions standard fare like 10-30% of the calories of the elderly should be from fat, and dietary cholesterol is recommended to be 300mg/day or less. The book then goes on to mention a 5 year study of 4066 men and women at least 71 years of age. Elevated total cholesterol was associated with a similar pattern of death as seen in younger adults. At first glance this seems to follow traditional medical dogma, but when adjustments for age, preexisting cardiovascular disease, risk factors, and general health status were made the subject group with the lowest total cholesterol, less than 160mg/dL, “had the highest incidence of preexisting cardiovascular disease, the highest risk factors for cardiovascular disease, the highest indices of poor health, and the highest crude coronary heart disease mortality.” This statement is then immediately followed by the comment “it appears that elevated total cholesterol levels remain a risk factor for death from coronary artery disease in elderly persons.” What?! They just quoted a study in which the people with the lowest total cholesterol had by far the greatest health issues, and they follow that up with commentary that high total cholesterol is the risk factor? How about low total cholesterol being a risk factor? How do these comments follow the facts? It is mind boggling. The next paragraph lays out even more data about why fat intake and total cholesterol are not the danger they are made out to be. They mention a study in which a decrease in dietary fat intake was associated with an increased risk of ischemic stroke, as well as low cholesterol levels being associated with short-term mortality after an ischemic stroke. Also in a 20 year follow up to the Framingham Heart Study when saturated and monounsaturated fat intake, but not polyunsaturated fat intake, was increased the risk of ischemic stroke decreased. Again these points are followed with the advice that one approach to reducing risk of coronary heart disease in older adults is to reduce intake of saturated fat and simultaneously increase polyunsaturated fat! This completely contradicts what that the 20 year follow up showed! I just fail to see how they can mention that data and then make recommendations to the contrary, and people are totally ok with it. When will people let go of the dogma and open their eyes and realize that their is much much more to cardiovascular disease risk than total cholesterol! It may be a player, but it is far from the main one and we need to focus our attention on the actual problems, not the alleged ones that haven’t panned out in 30+ years of research and recommendations. I realized that I have not posted a new recipe in quite a while, so I figured tonight would be as good a time as any. This recipe actually comes from Darcy, an online client of mine. The focus is on high quality, real-food pancakes, and they are fantastic! They contain the excellent grain quinoa, as well as some omega-3 eggs and fruit of choice. Have some with a nice 3-egg omelet or scramble and you hvae yourself a sweet little breakfast. Give them a shot and let me know what you think! I mixed the eggs in my blender (I have a basic blender, nothing fancy-schmancy) first, then added the fresh fruit (medium-sized pieces), then the cinnamon and finally the quinoa flakes. I make this large quantity of batter at once and then I can just cook the pancakes in the morning as needed. This quantity will make about 10 small to medium-sized pancakes (like the size you would get as a side at an IHOP). Hey I just wanted to say that I have been reading your blog for a while now and want to thank you for all the tremendous insight on diet etc. I guess you can say diet and nutrition is a hobby of mine and I am always looking to learn more. Now to my question…It is almost impossible to find decent products that do not contain Splenda, sucralose, whatever. I have Jonny Bowdens cookbook 150 healthiest meals on earth and he talks about artificial sweeteners being bad (except xylitol) for you. Obviously I knew this but I refuse to use real syrup due to the high sugar content and its hard to find a good protein powder that does not contain splenda…..what is the deal with splenda and am I cutting years off my life by eating products containing it? Thanks and sorry for the essay question! First off, thank you for the kind words, much appreciated. Like with most nutrition questions, the answer is context dependent. Are you cutting years off your life by consuming Splenda once in a while? No, probably not. If you consume a significant amount on a daily basis, this could pose problems. I wrote an entire blog about why I don’t like Splenda. Besides the GI problems I discuss in that above blog, artificial sweeteners in general also stimulate an insulin response, elevate HbA1c which is a measure of your blood sugar over a long period of time and a marker for diabetes and cardiovascular disease, and associations with many other anecdotal problems. Now I am not someone who thinks that you have to eliminate all artificial sweeteners forever and you can never consume them or they will kill you. I think clearly that has proven not to be the case since they are everywhere. For example if you consume 1 scoop of whey protein powder per day with some sucralose (Splenda) in it, that is probably not an issue. If you are consuming half of your diet from “low-sugar” products loaded with artificial sweeteners, then that is a problem. 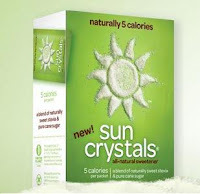 I think acceptable substitutions would be natural sweeteners like stevia (I like Sun Crystals), turbinado sugar (unprocessed sugar, contains roughly 2/3 the calorie content of processed sugar) or maybe xylitol or erythritol. A friend of mine, who also happens to be an Olympic hopeful in bobsled, sent me a neat little article on American bobsled gold-medalist Curt Tomasevicz. In an email interview with Entertainment Weekly Curt asked if a jam session with Pearl Jam could be arranged. Apparently Curt also plays bass guitar and listens to Pearl Jam before every bobsled run he makes. A family friend gave him backstage passes to a Pearl Jam concert to hang out with the band before a show. While they were preparing they were asking him a bunch of questions about bobsledding, when the great Eddie Vedder asked if Curt played bass and asked him to join them on stage to perform Yellow Ledbetter. To those non-Pearl Jam fans, Yellow Ledbetter is perhaps their most requested live song, so to perform that with the band is a huge deal. Curt said it was the most nervous he has ever been in his life. That story just furthers my appreciation for the Greatest American Rock Band, and makes me quite jealous of Curt (except I am tone-deaf and can’t play a singe instrument), but I guess being on the first gold-medal American four man bobsled team in 62 years has its perks I guess! Wow it has been far too long since I last blogged. Life has been a whirlwind since moving back to Maine. To all you homeowners out there, I tip my hat to you. Having a house has been even more work than I imagined, trying to set it up and acquire all of the necessary things you need to have a house. Granted, I don’t actually own this house, so I can only imagine the actual purchasing experience, as well as paying the taxes! Now that we are settled in and have almost all of our projects completed (are they ever all really done?) things are calming down and we can actually get into something resembling a routine. Not only has my blogging been off, my eating and training have been off as well. I am very glad to be getting things back to normal starting today. I will say that one very nice perk of the move is that we bought a sweet new tv, which was pretty much necessary considering I am such a huge fan of movies, rivaling even the great Tony Gentilcore. We also got a Blu Ray player with it, I couldn’t resist and we needed a new DVD player anyway since ours broke. 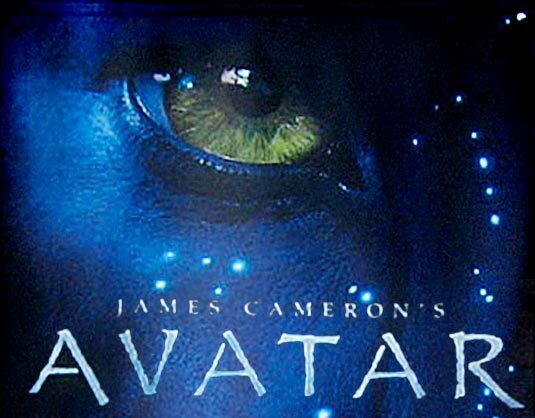 We bought Avatar last night and watched it again, just as incredible as the first time. OK enough about me. What I really wanted to enlighten you all with today is that Mike Robertson is holding an awesome seminar on August 28th at the Indianapolis Hotel. The 2010 Midwest Performance Enhancement Seminar is an all-day affair and includes the likes of: Brian Grasso, Lee Taft, MR himself, Pat Rigsby, Bill Hartman, and Brett Jones. That is one star-studded line up that anyone would be privileged to listen to. The best part is that if you sign up before June 24th you get an incredible early bird special of only $149! Anytime after and the rate goes up to $199. So if you want to save $50 and see an amazing lineup sure to blow your mind, check out the 2010 Midwest Performance Enhancement Seminar. It is good to be back and I have not forgotten that I said I would blog about the “green” Hannaford grocery store across the street from my house. That will be coming soon.